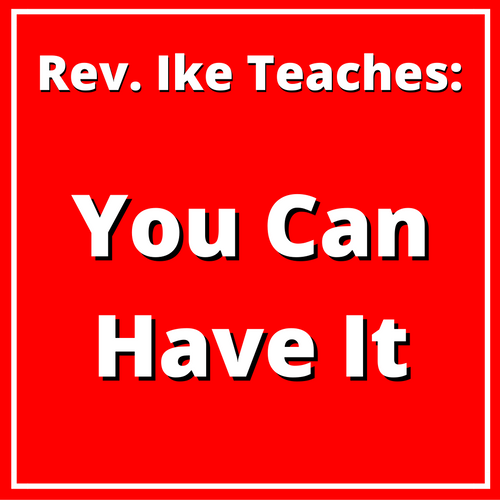 You CAN Have What You Want…And Rev Ike Shows You How to Get It! …you may be even telling YOURSELF that you CAN'T! But once Rev. Ike gets through with you – in this powerful hour-long lesson on MP3 titled, YOU CAN HAVE IT!, you're going to know – deep in your consciousness – that ALL THINGS are POSSIBLE for YOU! A Participatory WORKSHOP That Changes the Way You Think About Yourself! "You Can Have It" is a dynamic, 1-hour coaching, teaching and motivating session with Rev. Ike. …and you impress upon your consciousness, good health, happiness, love, prosperity and money! Powerful Affirmation Treatments with Rev. Ike! Rev. Ike bases this lesson on the Bible texts: "With God, all things are possible," and "All Things are Possible to Him who Believes," – and he teaches you how these truths apply directly to you, to your thinking, and to your circumstances in life! Affirmative treatments to instill in your consciousness the belief that you deserve the best and that EVERYTHING is possible for you! A HEALING affirmative and visualization treatment to instill a healthy idea of yourself! An Affirmative Prayer treatment for HAPPINESS that will give you a LOVING belief about yourself – along with practical, hard-hitting advice about marriage, relationships and finding love! A powerful VISUALIZATION Prayer treatment with Rev. Ike that will imprint a joyful, loving, successful, prosperous image of YOURSELF onto your subconscious mind! You'll even enjoy a luxurious VACATION in your imagination! You Will Change your Thoughts and Change Your Circumstances – For the Better! As Rev. 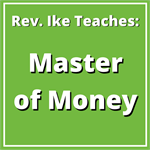 Ike teaches this entertaining lesson to you with his usual humor and charisma, you’ll learn about yourself and you’ll discover the power of your own mind, the power of your own thoughts and beliefs about yourself – whether they be positive or negative beliefs. You'll become aware of the negative thoughts and beliefs that have been holding you back and you'll cast off your self-imposed limitations, and come to realize that – YES, YOU CAN have all the good that you want! And you'll have a new powerful belief in yourself that will make ALL THINGS POSSIBLE! Are you ready for a more self-confident, loving, successful and powerful you? 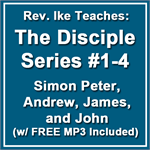 Then order this MP3 teaching for immediate download!